Now Vista is actually out we haven’t heard much about it, before it’s commercial release however there was a lot of flaws released and discussion about the (in)security of the OS. The architecture does seem a lot better.. But still it’s from Microsoft, how long until we get a remote root exploit giving the highest level of access. They even tried to lock security vendors out from the Kernel for a while. One full month before Microsoft Windows Vista ships to consumers, hackers and security experts have already discovered six serious flaws in the operating system. Vista was made available to business customers one month ago. Since then, the experts have been throwing everything they can come up with at this build of Vista hoping to discover possible vulnerabilities before the general public starts running the OS on their home machines. There were some others too, unsurprisingly a lot were based around Internet Exploder 7. Determina discovered a bug in Internet Explorer 7 that allows malware to be surreptitiously installed on a user’s computer if he visits a “booby-trapped site” while browsing the web. Determina also discovered a way to disable a network’s Microsoft Exchange server by sending an infected email. An unnamed Russian programmer discovered a way to hack his user permissions on all Windows systems on a corporate network using a Vista exploit. This is particularly dangerous, since a hacker could use his increased privileges to circumvent IE7’s built-in sandbox controls. Tokyo-based company Trend Micro has discovered a hacker on a Japanese message board offering to sell information about a Vista security flaw for $50,000. From what I’ve seen around…there are serious exploits for Vista and IE7 for sale if you know where to look. I love the Burp Suite, I really do. It’s pretty much my favourite local proxy program and my favourite suite of tools for security testing web applications (especially the session investigation and manipulation parts). Another great thing is it’s cross platform, so you don’t have to learn different tools for Windows and Linux. Basically Burp suite is an integrated platform for attacking web applications. It contains all of the burp tools (proxy, spider, intruder and repeater) with numerous interfaces between them designed to facilitate and speed up the process of attacking a web application. All plugins share the same robust framework for handling HTTP requests, authentication, downstream proxies, logging, alerting and extensibility. One-click transfer of interesting requests between plugins, e.g. from the proxy request history, or a web page form enumerated with burp spider. Extensibility via the IBurpExtender interface, which allows third-party code to extend the functionality of burp suite. Data processed by one plugin can be used in arbitrary ways to affect the behaviour and results of other plugins. Plugins can run in a single tabbed window, or be detached in individual windows. All plugin and suite configuration is optionally persistent across program loads. I’ll try and do some tutorials for Burp later on and perhaps I’ll focus a bit more on Burp Proxy alone, as it’s an extremely powerful tool. Burp suite is a Java application, and runs on any platform for which a Java Runtime Environment is available. It requires version 1.4 or later. The JRE can be obtained for free from Sun. You can download Burp Suite below, both archives contain the same files, which will run under both Windows and Linux. This is a bit of hacking in the original sense of the word, taking a $60 router and giving it the capabilities of something costing in the hundreds or thousands (enterprise level). Of all the great DIY projects at this year’s Maker Faire, the one project that really caught my eye involved converting a regular old $60 router into a powerful, highly configurable $600 router. The router has an interesting history, but all you really need to know is that the special sauce lies in embedding Linux in your router. I found this project especially attractive because: 1) It’s easy, and 2) it’s totally free. I’ve done something similar before with the same series of Linksys router, it’s pretty cool! One of the supported routers. I used a Linksys WRT54GL Wireless router that I picked up from Newegg, and the instructions that follow detail the upgrade process specifically for that router and its close siblings. If you’re upgrading one of the other supported routers, you might want to look into instructions specific to your router. These instructions may generally work for other supported routers, but I’m not making any promises. 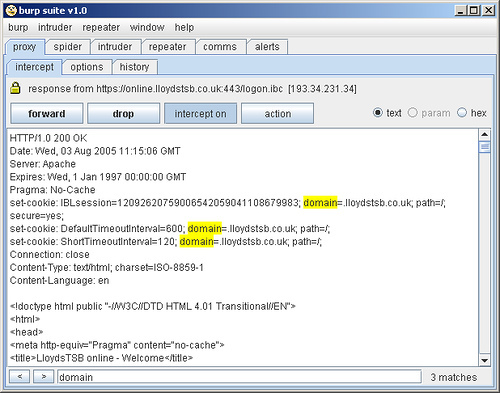 The generic DD-WRT v23 SP1 mini firmware version. The generic DD-WRT v23 SP1 standard firmware version. Pretty neat stuff, check it out and more at the DD-WRT Wiki. Web Hack Control Center is a GUI based web server vulnerability scanner or assessment tool. This application gives you the means to identify which security vulnerabilities exist on your web servers by scanning them for the most popular server exploits. WHCC contains a database of thousands of exploits for a variety of web servers. This release has 600+ more exploits than the last. This tool can also act as your primary web browser, so basically it’s a scanner and browser packaged up into one (even though it’s just a wrapper for the rendering DLL’s from IE). You can find the latest version of WHCC and some info here. It’s a pretty decent tool, a bit bloated though..due to all the Wincrap it uses. Still worth a look though, might give you a few ideas and lead you on the way to some cool ideas. The famous Phenoelit Default Password List has been updated, it’s been quite some time since an update. Technitium MAC Address Changer v4 (TMACv4 C4) has been officially released. Technitium MAC Address Changer allows you to change Machine Access Control (MAC) Address of your Network Interface Card (NIC) irrespective to your NIC manufacturer or its driver. It has a very simple user interface and provides ample of information regarding each NIC in the machine. This tool can set a new MAC address to your NIC, bypassing the original hard coded MAC address. Technitium MAC Address Changer is a must tool in every security professionals tool box. Technitium MAC Address Changer v4.0 is coded in Visual Basic 6.0. Has list of all known manufacturers (with corporate addresses) to choose from. You can also enter any MAC address and know which manufacturer it belongs to. Displays all information you would ever need about your NIC in one view like Device Name, Configuration ID, Hardware ID, Connection Status, Link Speed, DHCP details, TCP/IP details etc.